Posted on: August 17th, 2017	by Jennifer A. The Solar Eclipse… the Must SEE Phenomenon for the summer of 2017! We keep hearing about the Solar Eclipse and how it will be stretching across the country on Monday, August 21, 2017. If you are anything like us you have mixed feelings about it. You have heard a lot about how it’s not safe to view the sun directly AND yet you want to have a solar eclipse experience with your kids because after all how often do we have a solar eclipse like this. A solar eclipse happens when the moon completely blocks out the sun’s outer atmosphere called the corona. This is a rare event – the last solar eclipse visible in the continental United States was 1979 and the next will take place in 2024. We understand and we are here to help. 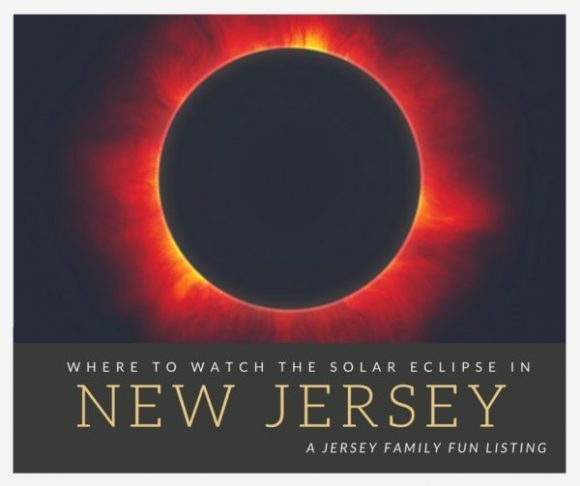 Melanie and I have put this list of places together of where to watch the solar eclipse in New Jersey. We wanted to provide you with options for watching the solar eclipse with your kids. 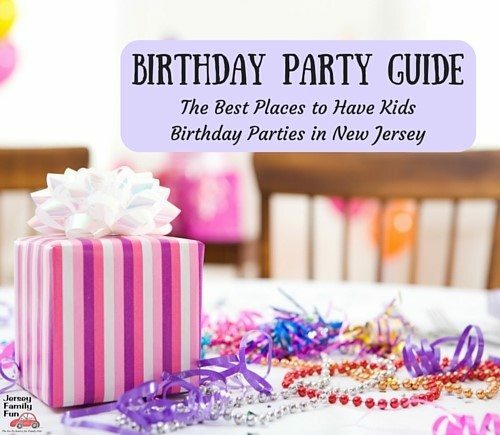 So whether you want to watch it at home with your kids on tv or livestream or you want to get out somewhere with your kids for a solar eclipse party in New Jersey, we want to help you with safe options. Let’s start here, the St. Louis Post Dispatch shared this video on Facebook on Monday to help explain what we can expect to see during the Solar Eclipse. There’s more to see than the sun and the moon. Then we learned how eye doctors are warning us that any direct looking at the sun, either by accident or otherwise is harmful. With that in mind, we proceeded to help you find a number of options for viewing the Solar Eclipse so that you can make the best decision for your family. These locations in New Jersey are where you can view the solar eclipse or view live broadcasts of it. We believe each of these locations will have the special glasses that everyone SHOULD use before viewing the solar eclipse. But it can’t hurt to call ahead to confirm. Many of these solar eclipse viewing parties will also be teaching kids how to create their own safe viewers. We’ve divided the New Jersey solar eclipse watching spots by region in New Jersey. Below is a brief blurb about them but you can learn more by clicking any of the calendar listings you see listed below. Please note that some events do require advance registration and some have an admission fee. Tuckerton Seaport Kid’s Craft Class: Solar Eclipse! The Franklin Institute in Philadelphia will also be hosting their own solar eclipse event titled, 2017 Great American Solar Eclipse. You can learn more by visiting their site at www.fi.edu/event/2017-08-21/2017-great-american-solar-eclipse. These TV and cable stations will be broadcasting the Solar Eclipse live as it happens. CNN plans two hours of livestreaming accessible in virtual reality through Oculus and other VR headsets beginning at 1 p.m. EDT. Accompanying television coverage will include reporting from Oregon, Missouri, Tennessee and South Carolina. The Science Channel will broadcast its live coverage from Madras, Oregon, from noon to 4 p.m. EDT, with commentary from educators and astronomers from the Lowell Observatory. ABC will have two hours of live coverage reporting from viewing parties across the country. NBC also plans live coverage special reports at 1 and 2 p.m. EDT featuring correspondents reporting from Oregon, Illinois, Wyoming and South Carolina. Fox News Channel from noon to 4 p.m. EDT will update viewers on the eclipse and introduce footage from NASA and observatories around the country. NASA Television begins at noon Eastern. It plans live streaming the eclipse beginning at 1 p.m. EDT with images from satellites, research aircraft, high-altitude balloons and specially modified telescopes. These websites will stream the Solar Eclipse live online as it happens. TIME will stream the eclipse starting at 12 p.m. EDT on Aug. 21 on Time.com, along with its Facebook and YouTube pages. Exploratorium, a science museum based in San Francisco, will produce five livestreams of the eclipse as filmed from two locations starting at 12 p.m. EDT (1600 GMT). The streams will include: silent telescope feeds from Madras, Oregon and Casper, Wyoming; Spanish and English narrated eclipse feeds with telescope views from both locations; and a special “sonification” of the eclipse by Kronos Quartet, a string instrument group, streamed from the Exploratorium’s campus in San Francisco https://www.exploratorium.edu/eclipse (The streams are also available on their app for on-the-go watching). Eclipse Across America: Will go high to broadcast. Check out the High Altitude Balloon Project in which ballooning groups launch high-altitude balloons with cameras up into the sky to capture views of the eclipse. Viewing is available at eclipse.stream.live. Find out how elephants react to the Solar Eclipse with the Elephant Sanctuary‘s Facebook Live streaming event. The Tennessee-based Sanctuary has 13 solar-powered, live-streaming HD ‘EleCams’ located in the elephants’ habitats to allow for public viewing of the elephants. Around 2:30 p.m. (EST), viewers will be able to see darkness settle over the Sanctuary and observe how the animals will react (cameras will go dark briefly during totality). Tune in at www.elephants.com. And then if you really do want to watch it from home, you and your children can make pinhole viewers with directions from Nasa at this link. You can also see if the solar eclipse glasses you may have already bought are safe by checking the list at this link. How is your family planning to watch the Solar Eclipse? We’ll be at the Liberty Science Center Solar Eclipse event. If you see us, come say hi. Or follow along on our solar eclipse experience on Facebook, Instagram, or Twitter.